Nothing like the way our bubbies made latkes in the old country! 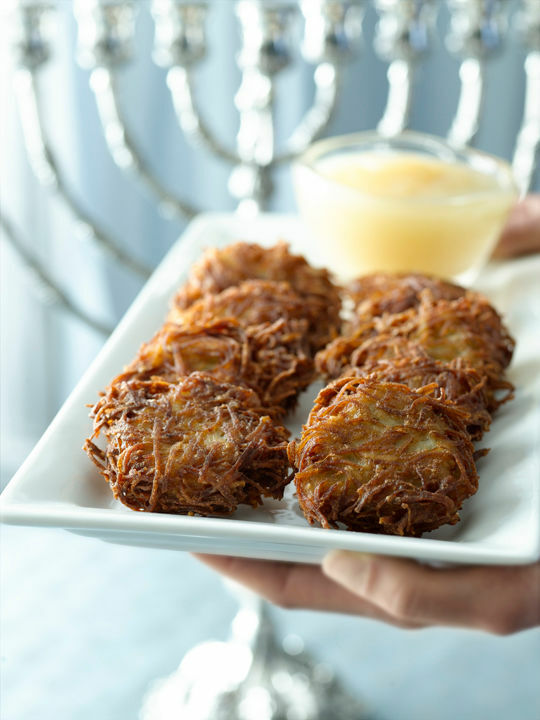 These latkes are not loaded with potato starch, flour, baking powder or other non-essential ingredients. Jamie’s grandfather shared this recipe with her when she told him that she thought his were the crunchiest, lightest and most perfect potato latkes I’ve ever eaten.